The snow is getting softer, the days longer and you can smell spring in the air. We aren’t letting go of the momentous snow year quite yet, and to help us #FinishStrong we’d like to look back on a few of your favorite moments of our favorite season. Views of Holy Cross from Vail Mountain, Colorado. 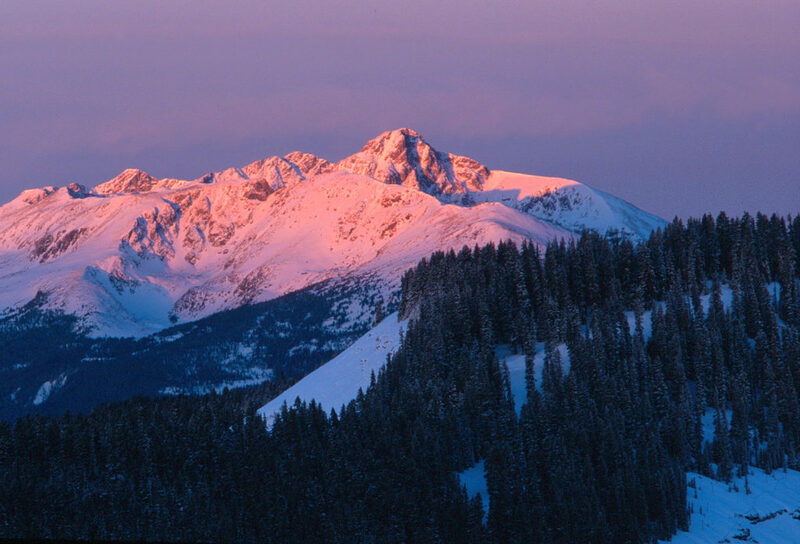 Vail Mountain will host its annual interdenominational sunrise service on Easter Sunday, April 21, 2019 at 6 a.m. inside at Eagle’s Nest. The Eagle Bahn Gondola will open to the public at 5:30 a.m. to transport guests from Lionshead. Complimentary baked goods and beverages will be provided for attendees. In addition, there will be two afternoon Easter services outside at Eagle’s Nest, which are scheduled for 12:30 p.m. and 2:30 p.m. at Simonton Deck (also known as the Holy Cross observation deck). For those planning to attend the Easter sunrise service, the Town of Vail will be offering free parking for vehicles that enter the Lionshead parking structure after 5 a.m. and depart prior to 10 a.m. Upon departure, attendees should inform the parking booth attendants they were at the service. For the sunrise service, the gondola ride is complimentary and guests are not permitted to bring skis or snowboards. Following the service, guests will be asked to download the gondola. Guests will need a lift ticket or scenic ride ticket for the 12:30 p.m. and 2:30 p.m. service. For more information about Vail Mountain, call the Mountain Information Center at (970) SKI-VAIL (754-8245) or visit www.vail.com. This is Colorado….I have a job, with a company, Vail Resorts, that has worked diligently to identify and live by its 6 Core Values and one of them is …(wait for it..) “Have Fun”! I don’t know of any other job where you are evaluated on having fun!! Now there are some very reasonable, logical parameters to this but still. On March 16, Vail Mountain will host Pink Vail, the world’s biggest ski day to conquer cancer. This all-day event features live music, deck parties, costume contest, kid’s activities and more. 100% of Pink Vail donations and registration fees benefit all patients at Shaw Cancer Center through enhancements to patient care and patient programming. All Shaw patients, whether male or female, no matter their cancer diagnosis, have the opportunity to benefit from Pink Vail funds throughout their cancer treatment experience and beyond. Pink Vail has raised more than $4 million since its inception in 2012 for patient care and programming including three new patient focused positions: Patient Resource Navigator, Nutritionist and Licensed Professional Counselor. The roles have changed the lives of the employees and the patients they serve. Here are a couple of their stories. Does your first run for the day feel wobbly, like your first run for the season, or worse like your first run ever? I heard a couple guys on the chair say that recently and it got me thinking about my own turns and how I could make a “turn for the better” even on my first run. For the first half of my life I skied in the northeast where the surface was often……….more firm. In those days and on those conditions we skied all-in on our downhill foot. If there was a way to magically remove my uphill ski on every turn I would still be a very happy skier. But there is such a thing as “getting off on the wrong foot”. Now I know I want to get off on the right foot, which could be the left foot, just not the foot I’ve always started with. We all want to put our”best foot forward”, right? Got it now? I’ve learned that while I want to ski simultaneously with both feet, I do that better if I start with my uphill ski. Crazy I know, but it’s true. I have three ways to think about making any of this happen. One works best for me, but you never know which might work best for you. 1) If I start my turn thinking about tipping my uphill ski uphill and putting my pinky toe- the outside-uphill edge of the uphill ski, into the snow. 3) …and this one you can practice anytime you want..I think about the motion I would make to get my uphill hip onto an imaginary bar stool. All three of these movements get me to engage that uphill ski and with even a little bit of pressure/or weight, this helps make me tip and engage that downhill ski as well. I need to take care that I’m not just leaning my whole body uphill. If I did that everything would slip away like sliding in to home plate, and in this case that wouldn’t be “safe.” All this uphill action happens from the hips down, or more accurately, from my feet up to my hips. My upper body still needs be focused on charging down the hill. When I am successful in engaging both skis in the start of my turn I edge my ski better and am in a better position to steer both skis. I don’t get into that awkward situation in cut-up snow where one ski feels like it wants to take its own path away from the other, ”the road less traveled.” Skiing on both skis, (what a concept), is better for my accuracy, it makes for better balance, is safer and easier. Who knew? Whether you’re planning a last minute mountain escape with friends, or a mid-winter getaway for the whole family, explore premier lodging in Vail. 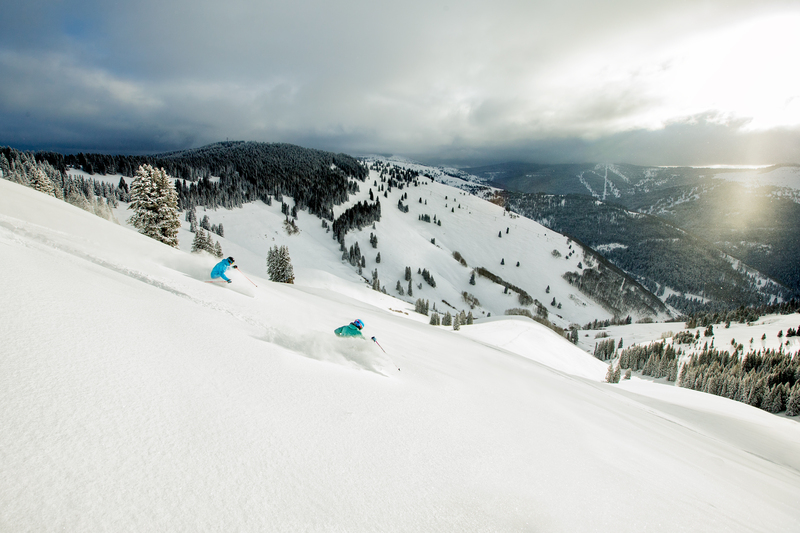 From ski-in, ski-out hotels, to premium residences and international resorts, the lodging opportunities in Vail are endless. 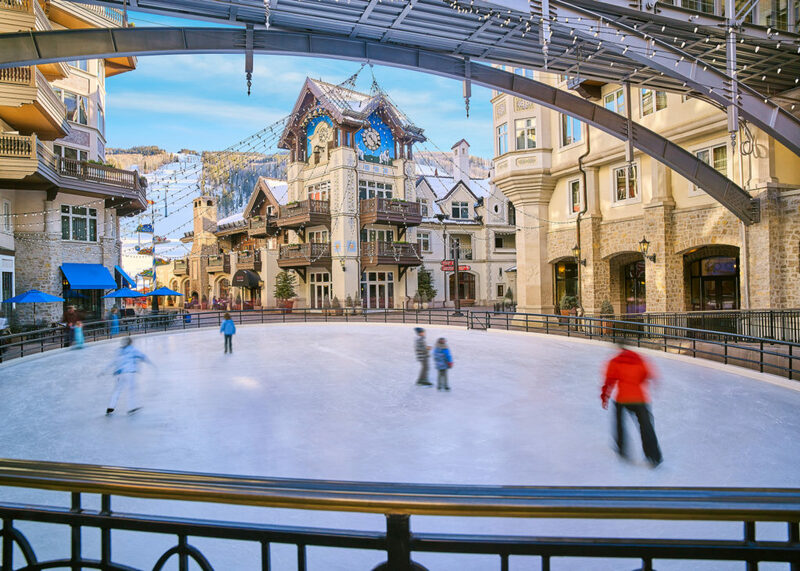 To help you plan your winter getaway, we’ve put together a list of the 5 most unique places to stay in Vail.